As the opioid crisis escalates, the science behind addiction remains poorly understood. To address this need, researchers at University of Utah Health devised a system that allowed zebrafish, a small tropical fish, to self-administer doses of hydrocodone, an opioid commonly prescribed to people for pain. After one-week, the fish had increased their drug-seeking behavior, even when doing so required them to put themselves in risky conditions. Further, 48 hours after the last exposure, conditioned fish showed signs of anxiety, a hallmark of withdrawal. 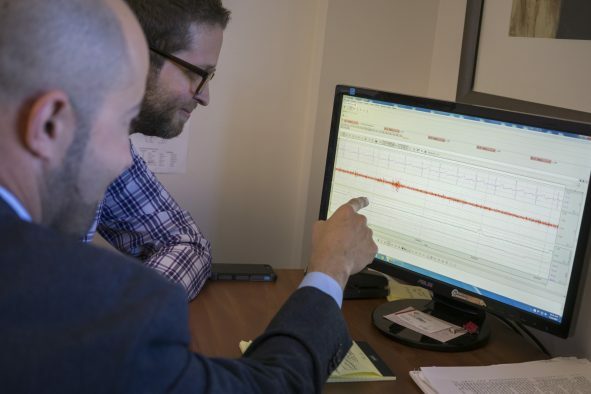 Published Aug. 25 online in the journal Behavioral Brain Research, this study offers a new approach to explore the biological pathways behind addiction and withdrawal that could lead to new therapies to treat dependence. A video of zebrafish self-administering opioids is available here. Zebrafish share 70 percent of genes with people and also share similar biological pathways that lead to addiction. Like people, they have a m-opioid receptor and two neurotransmitters, dopamine and glutamate, that trigger the natural reward system in the brain. Bossé and Peterson conditioned the zebrafish to the experimental setup with food. Using motion detection, the fish triggered the release of food by swimming over an active platform in the tank. An identical inactive platform on the opposite side of the tank was the control in the study. Researchers recorded the number of times fish triggered the active platform to release food compared to the control platform. They repeated the same set-up but instead of food, the fish conditioned to trigger the active platform received a dose of hydrocodone. A continuous flow of water flushed the tank, which forced the fish to trigger the system to receive another dose of the drug. Over the course of five days, the fish self-administered the drug during 50-minute sessions. 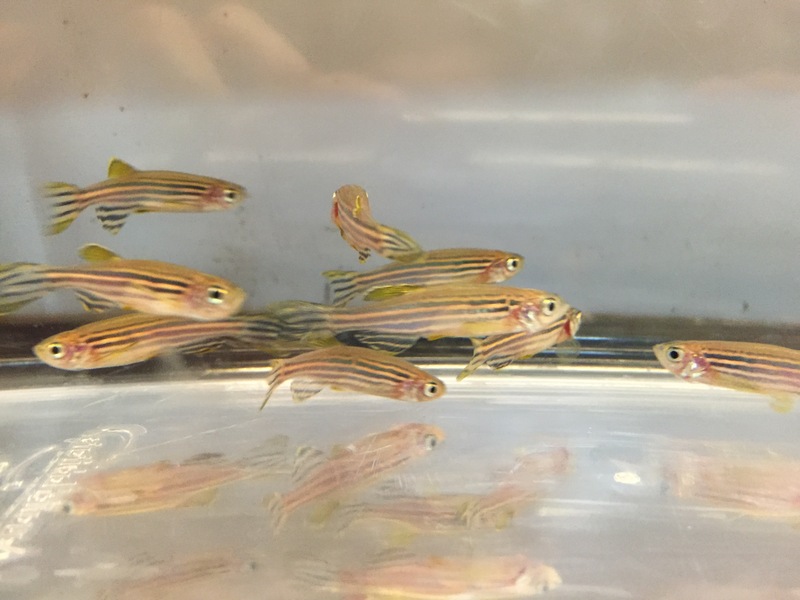 Drug-seeking behavior also increased when the zebrafish were forced to receive the opioid in progressively shallower water, a stressful environmental setting that unconditioned fish would avoid. Further, fish that received a reduced dose of hydrocodone at the original depth increased their drug-seeking behavior to obtain an equivalent fix. “This was important, because we forced the fish to do more work to receive [the original dose of] the drug, and they were more than willing to do more work,” said senior author Peterson, professor of pharmacology and toxicology at U of U Health. Conditioned zebrafish treated with naloxone, a drug that blocks the m-opioid receptor, as well as dopamine- or glutamate-blockers reduced their drug-seeking behavior during the experiments. For people, substitution therapies, which include slow acting opioids (methadone), opioids that produce a partial biological response (buprenorphine) or antagonists that block the opioid receptor (naloxone), are the only available treatments for opioid addiction are often leading to high rates of relapse. The researchers will use their zebrafish model system to search for new therapeutics that could block drug-seeking behavior. Bossé explained that the zebrafish model is scalable and could be used to rapidly screen through thousands of compounds. In addition, researchers could manipulate the genetic make-up of zebrafish offspring to explore the specific biological pathways associated with drug-seeking behavior. 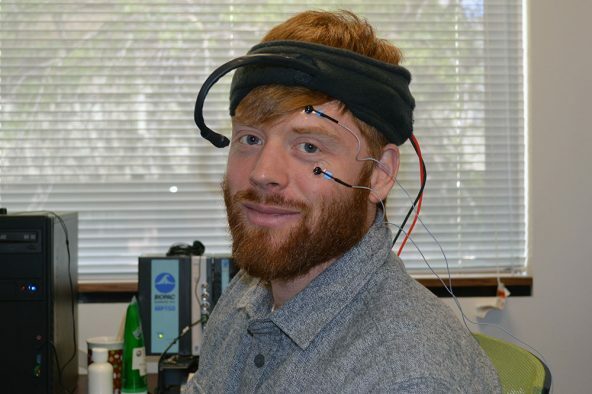 The research was supported by the Charles and Ann Sanders Research Scholar Award and the L.S. Skaggs Presidential Endowed Chair, as well as the Canadian Institutes of Health Research fellowship program. The study was published as “Development of an opioid self-administration assay to study drug seeking in zebrafish” in Behavioral Brain Research.